Apple iPad 2 launch date is imminent. Follow our Liveblog from the San Francisco event on Wednesday. The countdown to the second iteration of Apple's epochal tablet computer is almost over. 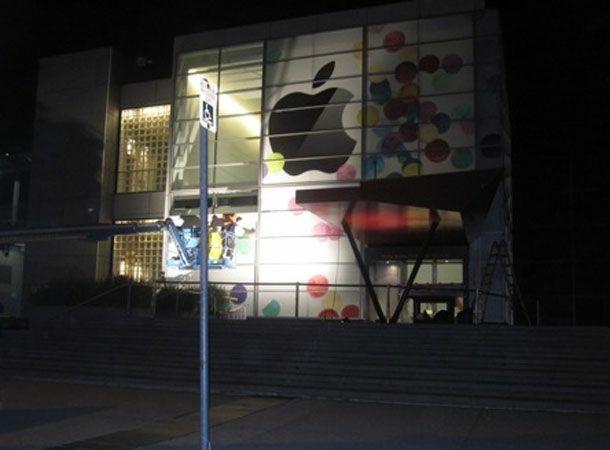 When the clock strikes 6pm in the UK on Wednesday the iPad 2 will be unveiled to the world at a media event in San Francisco. Once the March 2nd press invite (pictured) landed in our inbox on this week, the endless speculation and rumour-mongering turned to out-and-out excitement and we can't wait to hear what Apple has in store for the legions of would-be iPad 2 owners out there. Will it have the FaceTime camera? A sleeker design? The iPhone's Retina Screen? Faster processors and better graphics chips? Or will it come packing a new-and-improved version of iOS? All of these questions will be answered on Wednesday. We'll be liveblogging the media unveiling in San Francisco, and we'll be on hand at a specially arranged media event in London to be among the first to get our hands on the new device that Apple hopes will put the new wave of rival tablets firmly in their place. We'll also be updating this page throughout the build-up to the event to bring you all of the hottest gossip, latest insider leaks and the rumoured price-points, so bookmark this page now and check back for the latest between now and Wednesday. The excitement is reaching fever pitch at T3 Towers. We hope you can join us on Wednesday.